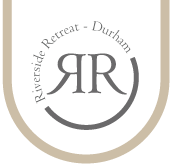 Thank you for choosing Riverside Retreat – Durham as your accommodation for your stay in Durham. Our aim is to make sure that you have a memorable time. We’ve set out below our Booking Terms and Conditions describing our policies and procedures and clarifying the contractual relationship between you and the owner of Riverside Retreat – Durham. Riverside Retreat – Durham is a luxury city centre Durham Letting situated on the riverside at 9 Clements Wharf Durham DH1 3RP. The Rental of the property is directly between the owner of the property James V Smith through the trade name Cinnamon Property Management and you (the guest). Bookings can be made online, by email or by telephone. The property is to be used solely as a short term residential let. It must only be occupied up to the number of people specified in the booking accommodation and we reserve the right to refuse admittance if these terms are not observed and will treat the hire cancelled and any deposit forfeited. The apartment is no smoking and we do not accept hen or stag parties. Bookings are to start on the check in date and end on the check out date. The period booked will be stated on the confirmation sent by email to the Guest when they book (Booking Confirmation). The period booked cannot be exceeded unless Cinnamon Property Management gives written approval. The Guest will be liable for any cost, of whatever nature, incurred because of an unauthorised extension. Check-in is available from 2pm up until 8pm on the date of arrival and the Guest should check-out by 10am on the departure date. However if other bookings permits it might be possible to vary the check-in / out times so please contact the owner on 07824697014 to discuss this beforehand. If a booking is made 8 weeks or more before the arrival date, a deposit of one-third of the rent is payable. If a booking is made less than 8 weeks before the arrival date the full rent must be paid at the time of booking. Should Cinnamon Property Management not accept or reject a booking request, all sums of money paid by the Guest for the rental of Riverside Retreat – Durham will be refunded immediately. Cinnamon Property Management shall not be responsible for sending reminders of the due date. The due date will be clearly set out in the Booking Confirmation. Unless otherwise agreed by Cinnamon Property Management in writing (and subject to section 6 below) the price to let Riverside Retreat – Durham shall be the rent for the property set out in the website www.riversideretreat.co.uk at the time of booking. Subject to the Cancellation Provision set out in section 5 below, as soon as the booking is accepted by Cinnamon Property Management and Guests are in receipt of the Booking Confirmation, the Guest is liable for payment of the balance of the rent. Payment of the rent is payable 8 weeks before the arrival date and non-payment by this due date may at the sole discretion of Cinnamon Property Management treat the non-payment as notice of cancellation. If the payment is not received by the due date and in accordance with the preceding paragraph Cinnamon Property Management have treated the non-payment as a cancellation of the booking any deposit paid by the Guest shall be non-refundable. We recommend that you that take out cancellation insurance when you book. If you cancel before your arrival date we will try to re-let the property and is we’re able to do this we will return your reservation fee less an administration charge of £25. Once a booking has been confirmed by Cinnamon Property Management, the booking can only be cancelled with the written agreement of Cinnamon Property Management. 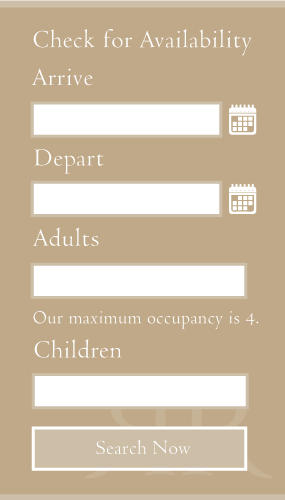 If you wish to cancel the booking the Guest must notify Cinnamon Property Management in writing. A booking can only be cancelled prior to the start of the letting. 56 days or more. Deposit. Cinnamon Property Management reserves the right to amend prices on the website due to errors or omissions but such changes shall be notified to the Guest as soon as possible and the Guest shall be able to cancel the booking if the amended price is significantly higher than the original price quoted. Most forms of money in U.K. Sterling is acceptable, including bank transfer, cash, cheques and PayPal. Cinnamon Property Management have the right to refuse a booking from a group of 3 or more single people under the 30 or all male or female parties of 4 persons. to pay for any losses or damages to the property and contents caused by the Guest or a member of their party (reasonable wear and tear excluded),if it is proven that damage is directly attributable to the Guest then the owner has the right to reclaim any costs incurred up to the sum of £500 from the card used to pay for the rental. All damage should be reported immediately so issues can be put right before the arrival of the next guests. to take good care of the property and leave it in a clean and tidy condition at the time the Guest checks-out. A cleaning service is not provided unless otherwise specified. not to smoke at the property. If for any reason beyond the Owner’s control the property is not available on the date booked (owing, for example, to fire damage) or the property becomes unsuitable for letting, all rent and charges paid in advance by the Guest will be refunded. It is the sole responsibility of the Guest to ensure that the property is secure at all times during the stay and that any loss is reported immediately. Unreported losses may be charged. Lost or non-returned keys and gate fobs will be charged at £35 each. for any matter which it would be illegal for the Owner to exclude or attempt to exclude their liability. All complaints must be notified to the Owner as soon as reasonably practicable. Guests have a legal obligation to mitigate their loss. If the Owner is denied the opportunity of investigating the complaint within a reasonable time or denied to opportunity to put matters right during the Guest’s stay then the Guest will waive all rights. Sorry but pets are not permitted in the property. If there is a breach of these Terms & Conditions by the Guest or any of their party, the Owner reserves the right to re-enter the property and terminate the booking and ask for the Guest and their party to leave. If there is a breach of these conditions by the Owner then the Guests have the right to end their booking and leave. Termination on this basis by the Owner or Guest does not affect that party’s other rights and remedies. The Owner through Cinnamon Property Management is the data controller of all data given to him by Guests and prospective Guests and is committed to protecting your privacy. He will only use the information that we collect about you lawfully, in accordance with the Data Protections Act 1998. If any term or provision in these booking terms and conditions is found by any court, tribunal or administrative body or competent jurisdiction to be wholly or partly illegal, invalid, void, voidable, unenforceable or unreasonable it shall to the extent of such illegality, invalidity, voidness or unreasonableness be deemed to be severable and the remaining provisions of the booking conditions and the remainder of such provision shall continue in full force and effect. The contract embodied in the booking is governed by English law and subject to the exclusive jurisdiction of the English courts.